Thank you so much for taking the time to join my little party and share your beautiful posts. 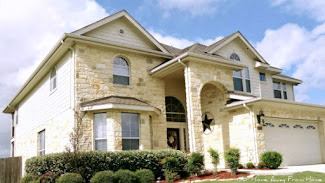 enjoyed visiting all your blogs. The hardest part is to highlight a few posts each week. Here are a few of those posts for you to enjoy. 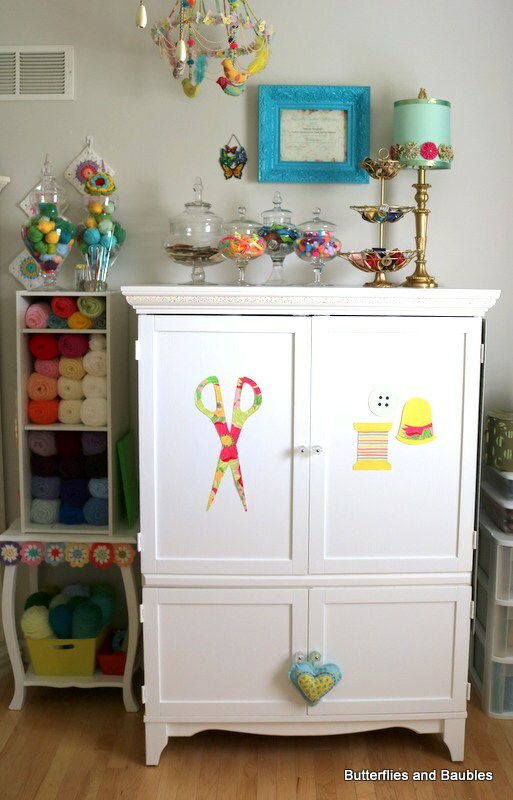 Debbie at Butterflies & Baubles shared with us her beautiful sewing armoire. Patti at Old Things New built a mini garden conservatory out of old windows. 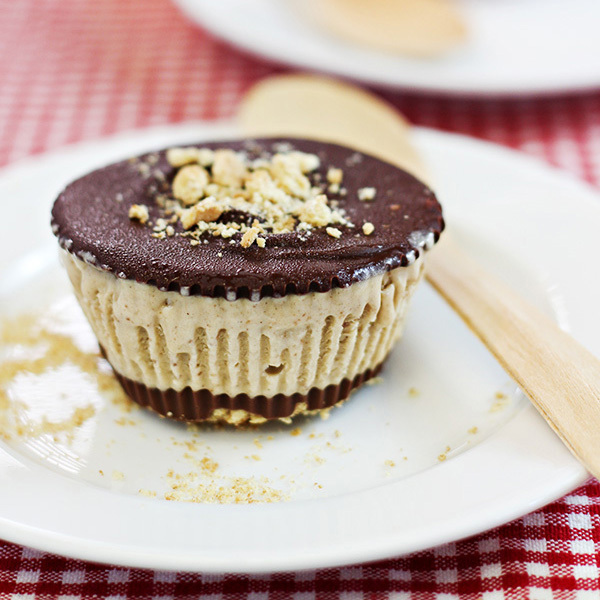 Brandie at Home Cooking Memories made delicious Smores Ice Cream Cups. Jody at Southern Seazons gave her kitchen island a new look. Sheila at My Kentucky Living created a beautiful summer centerpiece for her table. 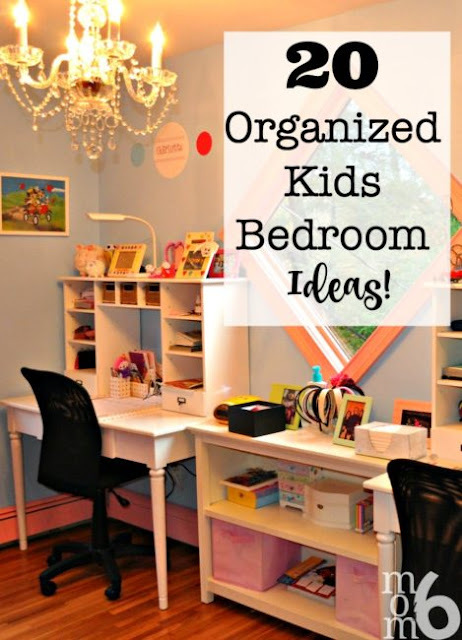 Sharon at Mom Of Six shared some wonderful ideas on how to organize your kids bedroom. I agree that selecting featured guests would not be an easy task, dear friend! each and every participant adds inspiration for one's home! 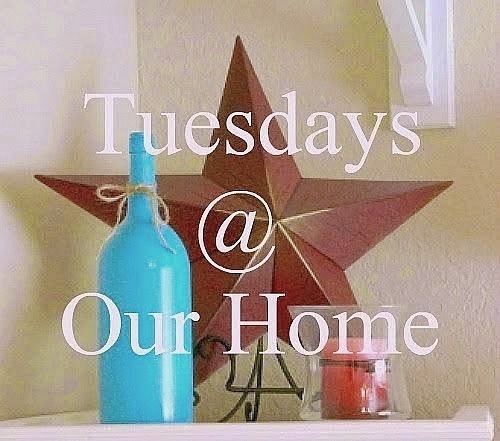 Thank you for hosting Tuesdays at Our Home, each week! Thank you for hosting! Hope your week is great! HI Maria Elena! I just love your blog and am enjoying checking out your posts! Thanks for hosting the party! Thanks for the great party. PS: My daughter Alexandra is coming from Madrid Friday at 1pm morning, Miami time, with our 8th month old grandbaby. We are so excited! Thanks for the party every week and thank you so much for featuring my kitchen island. Insightful features! 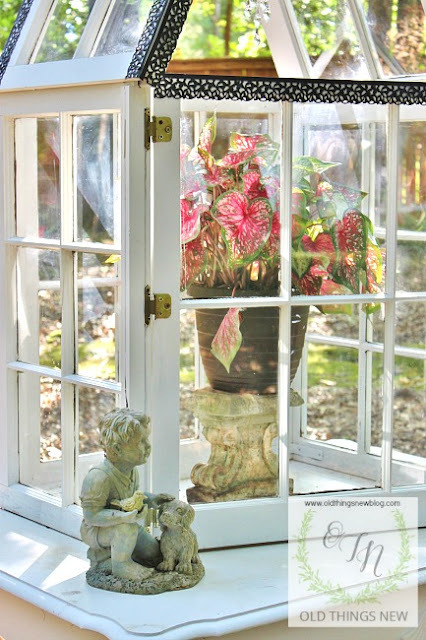 Mini garden conservatory idea is too awesome to create a focal point outdoor and indoor as well.